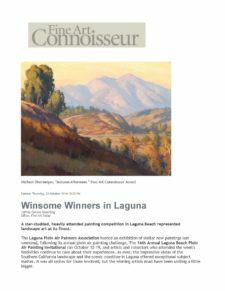 EARLY IN THE 20th century, distinguished landscape painters began pouring into Laguna Beach, CA, to capture its seven-mile coastline, turquoise-blue water, and pounding surf. 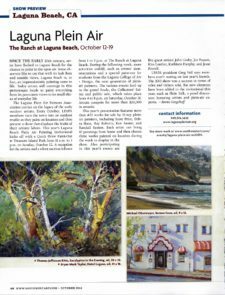 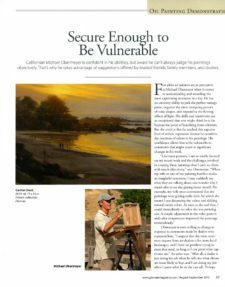 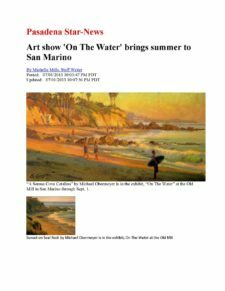 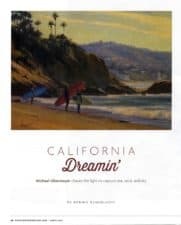 A LITTLE OVER a century ago, a burgeoning colony of plein-air painters began populating Laguna Beach, so en­raptured were they by its unparalleled beauty and light. 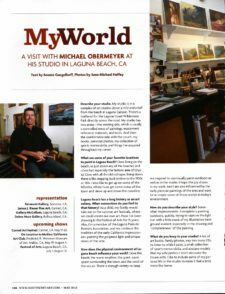 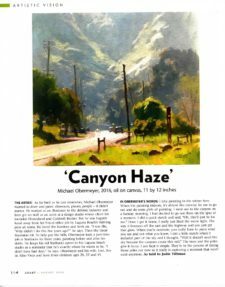 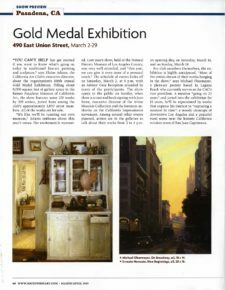 Few plein air painters are as perceptive as Michael Obermeyer when it comes to understanding and recording the most captivating moments in a day. 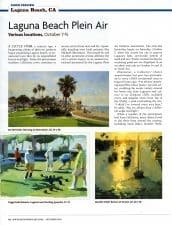 Describe your studio: My studio is in a complex of art studios about a mile and a half from the beach in Laguna Canyon.